RH: Our family has a basic level that we try to maintain, but otherwise, I can usually find something on the menu. Almost everywhere has a salad with meat on top! My kids love a few places, my wife loves others, and then I have my favorites too. We try to find a balance that makes everyone happy, but that provides a nourishing meal. CA: Most memorable restaurant meal in (or near) Salt Lake City? 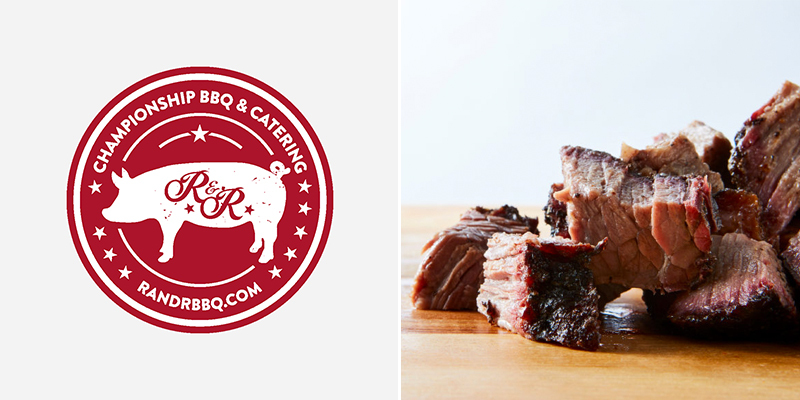 RH: I really love R&R BBQ in SLC. I love ordering a salad with pulled pork an then an extra lb of chopped brisket. I usually add about 1/4 lb of extra meat to my salad and then take the rest home for lunch or dinner the next day. CA: Most memorable restaurant meal outside of Salt Lake City? RH: Well, if you ever find yourself in Cuenca, Ecuador then I know all the great spots. My family and I lived there for a year. Our favorite celebratory restaurant is called El Mercado. They specialize in taking typical Ecuadorian market food and turning into something divine. RH: I think most staff these days are expecting a few requests. I think it is important to be very clear of your expectations and then to be able to understand what the chef is able to do. If they cannot prepare something a special way, then it is best to move on. I also think it is important to be clear on whether you have a true allergy or celiac disease for which you can have no wiggle room, or whether you can tolerate a bit of something and do ok.
RH: When I remember! I really love Proscuitto, so that is what I usually grab first. - Brown the ground beef. - Season with salt, pepper and curry powder. - Add whatever random roots and veggies you can find. - 1 to 2 cans of coconut milk. - Let it stew for a while. Dig in! It does great for leftovers and I think it tastes better the next day. RH: Even before I improved my health habits I did not drink for religious reasons. I'm Mormon, and I follow our health code in this. But even without that, I don't think I would drink much. With alcohol comes impaired decision making, and with that comes a possible host of issues from splurging on sugar to the risk of being a careless driver. RH: Oh. I. Love. Hot. Chocolate. Water! Funny story....I started making my own hot chocolate with baking cocoa powder, a sweetener, heavy cream, which I then add to hot water. It makes this awesome drink that I love and my kids....hate. So it is perfect. They never ask for a sip! Dr. Rick Henriksen, M.D., M.P.P. is a Salt Lake City-based family physician. He treats, educates, and counsels patients through an integrated approach to health and wellness. As a treating physician, he draws upon principles of ancestral health, Western, integrative, and functional medicine to improve the long-term health and “whole-body wellness” of his patients. Outside of the office, he is a family man, athlete and health enthusiast, an adventure seeker, and world traveler. With active kids in tow and an appetite for new experiences, Dr. Henriksen also understands what it feels like to be a patient, as well as a parent to one. Frustrated with the limitations and gaps involved in today’s healthcare model, Dr. Henriksen drew from his unique perspective—that of both doctor and patient to found Kestrel. While he’s been an advocate of healthcare and tech integration, he is also painfully aware of growing patient concerns stemming from today’s more costly healthcare experiences. Thus, Dr. Henriksen took his list of common patient issues (from waiting room inconvenience to lost time and reactive medicine) to create the new clinical model found in Kestrel.